No matter if a magazine title is new or old, there is always territory exclusivity. Target Market Media has created a large roster of titles for our publishers to launch, grow and develop in their local market. Some of our more established titles like Attorney at Law Magazine have become national brands that clients know and respect. Some newer titles are still in the process of becoming branded and publishers are given more latitude to make it their own. In each territory, which is outlined and defined by our market development manager along with the input and agreement with the publisher, is exclusive for that magazine title. There is only one Attorney at Law Magazine publisher in each territory. There is only one Real Estate Agent Magazine in each territory. Each territory is different, and will be weighed and considered not only for the geographical makeup of your market, but for the industry population. In more rural or less populated states, a publisher could be given the rights for the entire state for their magazine title. For more densely populated areas like Los Angeles and the San Francisco bay area, the city and surrounding suburbs may be divided up into several markets. The definition of your territory will be discussed and agreed upon prior to coming onboard with Target Market Media. 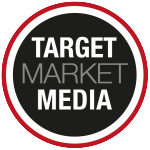 Target Market Media understands that some of our advertisers are national brands and want inclusion in more than one edition. Target Market Media has recommended policies for cross-selling into another publisher’s edition. These policies are recommendations only and publishers will need to discuss and come to an agreement on their own. Target Market Media understands that the market is the publisher’s market and leaves the final decision in the publisher’s hands. Target Market Media does offer some “extra” sales opportunities to our publishers through our sister company Innovate Marketing Solutions. These sales are not limited to a territory and publishers are free to sell to anyone across the nation. To learn more about this business opportunity and your territory exclusivity with Target Market Media, contact our market development team or complete our contact form.